You take an elbow to the face during a basketball game and suddenly lose a tooth. This is a dental emergency. So, contact your emergency dentists in Newburyport, Drs. Beliveau, St. Clair and Strauss. They’ll give you kind and correct advice to stabilize your condition until you can get to Dental Partners of Newburyport for treatment. 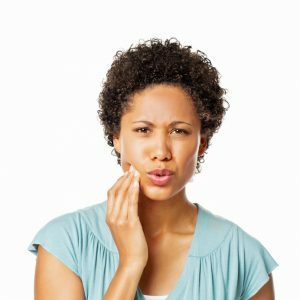 A wide variety of situations can be a dental emergency–anything from a knocked out to a throbbing toothache to an oral laceration. When you or a loved one experiences pain or bleeding in the teeth, soft oral tissues or jaw, your dentist in Newburyport wants to know immediately. Dental Partners of Newburyport urge patients to call right away to receive advice. Even baby teeth are important to nutrition, speech, oral cavity development and of course, appearance and sense of well-being. And for the adult who has lost a crown or broken a denture, quick help is essential for oral function and self-confidence. While a dental emergency is an individual experience, there are commonalities among these pressing problems. Here is some “first aid” advice to employ before seeing your dentist in Newburyport. Throbbing toothache Dental pain often signifies tooth eruption as with babies who are teething and with teens and their wisdom teeth. It can mean deep tooth decay or infection. Gently rinse the area with warm water, and apply a cold compress to the jaw if swollen. Leave the compress in place for 20 minutes and off for 20 minutes, and then repeat. Give over the counter ibuprofen or acetaminophen to alleviate discomfort, and contact the office for further instructions and an appointment. Food or foreign object lodged between teeth This can cause patients considerable discomfort. Visually inspect the area. If you can see something in the interdental space, try dislodging it with dental floss. If this isn’t possible, contact the office right away. Cracked or avulsed tooth Many broken or knocked out teeth can be repaired or re-implanted when people respond rapidly. The American Academy of Endodontists says that a knocked out tooth is best saved within one hour of injury. However, many teeth can be re-implanted if treated within 12 hours. So, save the tooth or tooth fragments in a sealed plastic bag with milk or an over the counter tooth preservation product, and bring them to dentist. For an entire tooth, rinse off dirt or debris but leave remaining soft tissue in place. Gently put the roots into the tooth socket, and hold it in place. Or, you might have the individual bite gently on a piece of moistened gauze or tea bag to stabilize the tooth. If neither is possible, bring the tooth in a sealed container or sandwich bag with milk or tooth preservation product. Teeth sometimes are displaced to one side or into the gum. The doctor will want to examine the area to determine treatment. He can often reposition the tooth and stabilize it by splinting it to neighboring teeth. Blow to the jaw or soft tissue laceration A dislocated or broken jaw needs immediate treatment at a hospital ER. Regarding a cut on the lips, tongue or other soft tissues, apply gentle, firm pressure, using sterile gauze or a clean cloth. If bleeding does not stop within 10 to 15 minutes, go to the emergency room. Your emergency dentists urge patients to wear mouthguards during sports to avoid dental injury. Never hesitate to contact Dental Partners of Newburyport when an accident occurs or oral pain is severe. The doctors and their caring team are available to help make you comfortable and to optimize your oral health.